According to the report, construction sector growth over the forecast period to 2021 will be supported by a revival in investor confidence and subsequent public and private sector investments in infrastructure, residential, and energy and utilities construction projects. In particular, the government’s focus on renewable energy production is expected to contribute towards the industry’s growth over the forecast period. In real terms, Germany’s construction industry is expected to register a compound annual growth rate (CAGR) of 2.4%, an improvement over the 0.2% CAGR registered over the review period (2012-2016). 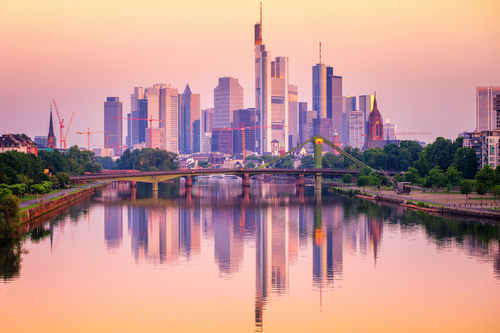 The German construction industry registered minimal growth during the review period due to the impact of the eurozone crisis on the country’s economy, which resulted in weak business confidence. “The industry, however, recovered in 2016, as a result of a gradual recovery in economic conditions and subsequent investments in construction projects,” comments Danny Richards, Lead Economist at Timetric's CIC. Consequently, the country’s construction industry registered a growth of 2.1% in real terms in 2016. This was preceded by an average annual contraction of 0.6% during 2012–2015. Accounting for 46.7% of the industry’s total value in 2016, residential construction was the largest market in the German construction industry during the review period. The market is expected to sustained growth over the forecast period, and account for 47.7% of the industry’s total value in 2021. “Market growth is expected to be supported by public and private sector investments in housing projects, driven by rising demand for new residential units in urban regions,” adds Richards. Commercial construction was the second-largest market in the industry during the review period, accounting for 20.0% of the industry’s total value in 2016. The market is expected to remain relatively sizable over the forecast period, with 19.6% of the industry’s total value in 2021. Forecast-period growth is expected to be driven by improvements in the country’s tourism and retail sectors. This information is taken from the Timetric report: ‘Construction in Germany- Key Trends and Opportunities to 2021’.